Those that know me, know that I'm all about balance. Well, that's a bit misleading. My actual scale is probably tipped a bit too much in favor of sugar. And chocolate. And pasta. It's not that I don't eat whole, clean foods, but I definitely eat a little bit of everything in moderation. I probably would eat a lot cleaner with a little bit of inspiration. I have my tried and true recipes for my family, and when I create new things, it's usually on the dessert spectrum. I love the idea of eating better, but I need guidance. So, when I was sent a copy of Leah Garrad-Cole's first family cookbook, It All Begins with Food, I was definitely inspired. Leah is the founder of the nationally-renowned brand, Love Child Organics. Please know that although Appetite by Random House generously provided me with a copy of this book, all views expressed here are my own. 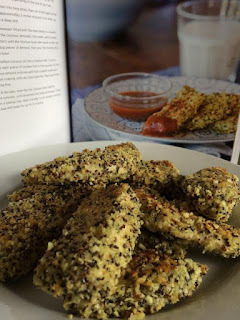 I was under no obligation to review this cookbook, nor am I being compensated for doing so. Let me start off by saying that this book will be my new go-to baby shower gift. If you know me personally, and are pregnant, this book is coming your way. There are a few of you who's surprise I just spoiled, and I'm sincerely sorry. 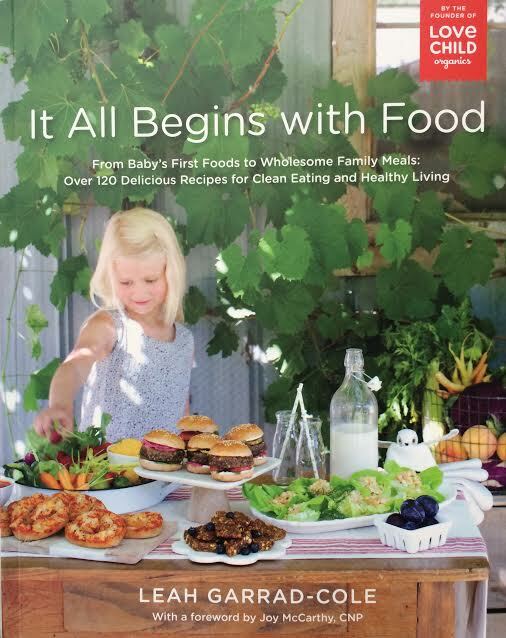 This book covers eating for all stages of family life - from first foods, toddler finger foods, full family dinners, sides, and healthy snacks and treats. Not only does it cover a fantastic range of foods, but the book itself is gorgeous. Every photo pops and is so clean and bright. It almost makes me want to renovate my kitchen to be as light and airy looking as every beautifully shot photo in the book. Leah writes this book so personally. From the get-go you feel tremendously engaged. She introduces herself, her background, and her reasons for sharing this info-packed book with everyone. It All Begins with Food doesn't read as a "how-to" book....even though it essentially is. I'm such a visual person when I peruse a new cookbook, but I truly did read every word of the introduction. That is saying a lot, because there isn't even a recipe until you're over 80 pages in. 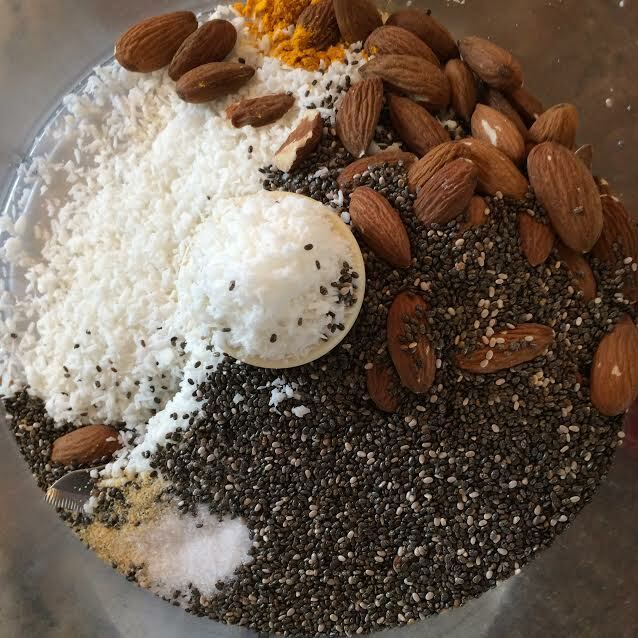 Besides a passionate section on food quality (think non-GMOs and organic foods), there is a wonderful reference of basic foods to have in your pantry for clean eating, and a handy section on meal planning My favorite part of the introduction is that on Growing Adventurous Eaters. 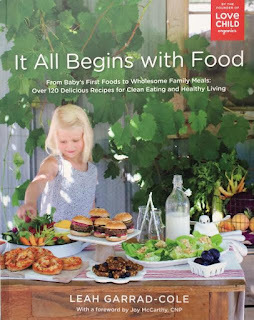 It includes twelve fantastically written tips to help your kids get out of, or avoid getting into a rut of eating the same old foods. I nodded my head and smiled at EVERY. SINGLE. POINT. I must say, a lot of these tips were already natural in my household, but some of them I definitely learned the hard way. It would have been nice to read these tips 3 years ago! I didn't try anything out of the Purees and Mashes section, as our family is past that stage (thank heavens)! Even though this isn't applicable to my life anymore, I think it's important to mention that this chapter includes 17 recipes for a variety of mixes of veggies, grains, meats and fish. The combinations of some of them sort of make me go WHAT?! (I'm looking at you, Tropical White Fish, Avocado and Watermelon Mash), but then I remembered that my son actually loved spinach, apple sauce and tuna mixed together. Barf. Who am I to say that the avo/fish/watermelon mash wouldn't be awesome? The picture looks spectacular, so I probably would have tried it. One that really caught my eye was just the simplicity of Homemade Baby Cereal. I didn't even think of that when my kids were little. I loved that all of these recipes made use of ingredients that I either already had on hand (hey, maybe my pantry is cleaner than I thought it was?!) The only things I had to go out and buy were the spelt flour (I hadn't even heard of spelt flour before), and whole almonds. The biggest hits of the recipes I tested were most definitely the pizza buns, and the chicken strips. These were familiar looking foods to my children, but in a much more nutritious form. The pizza buns were particularly appealing to me, because they make use of the dough from the Little Spelt Buns recipe! I whipped up one batch of dough and made a half-batch of each. Fresh-baked carbs for everyone! 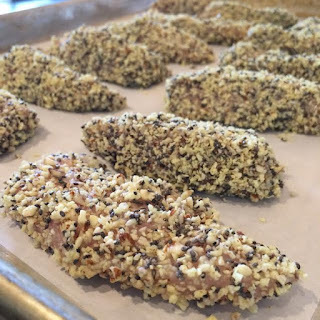 Finally, the recipe that appealed to everyone in my family equally was for the Cocount, Chia and Almond Chicken Strips. Both kids definitely looked at me a little funny when they first bit into them, because they weren't expecting the coconut flavor that really stands out in these. However, both cleaned their plates and agreed they were a tasty variation from the nuggets that I usually make out of ground turkey. The thing that I loved most about these is that I think this coating is going to be incredibly versatile. I picture myself using this as a crust for salmon, halibut, or mahi mahi. The nutty coconut and almond combo took me back to a coconut and macadamia crusted dish I have ordered at what must be everyone's favorite restaurant on Maui...Mama's Fish House. 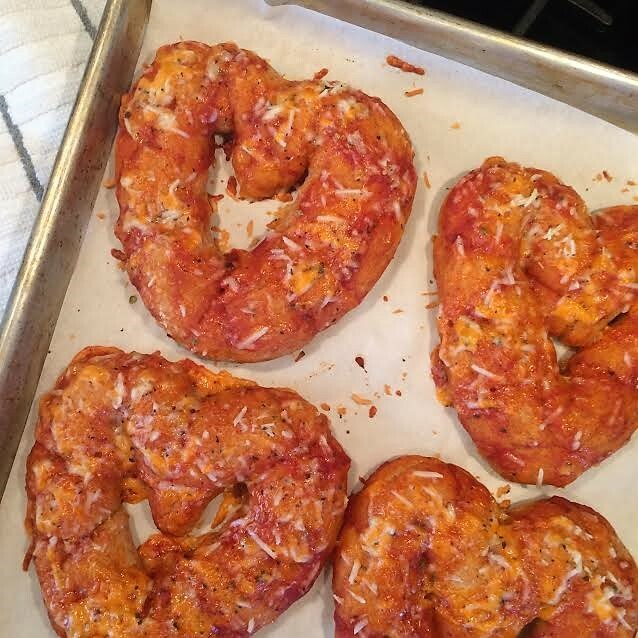 If you know what I'm talking about, you're going to run and make this immediately! 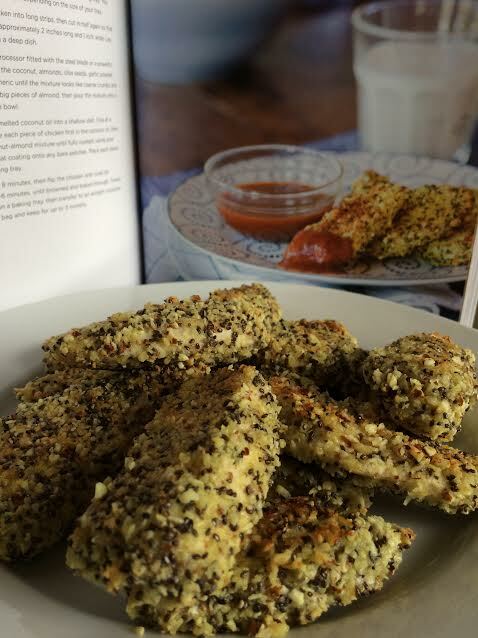 And, lucky for you, I have permission to share this recipe with you, so you really can make this immediately before you go and buy this book! 1. Preheat the oven to 425F and find a large baking tray (you may need two). 2. Cut the chicken into long strips, then cut in half again so that they are approx 2 inches long and 1 inch wide. 3. 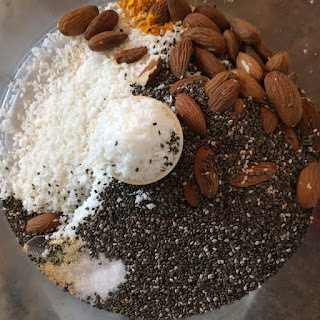 In a food processor fitted with the steel blade or a powerful blender, blitz the coconut, almonds, chia seeds, garlic powder, salt and turmeric until the mixture looks like coarse crumbs and there are no big pieces of almond, then pour the mixture onto a plate or wide bowl. 4. Working one at a time, dredge each piece of chicken first in the melted coconut oil, then in the coconut-almond mixture until fully coated, using your fingers to pat coating onto any bare patches. Place each piece on the baking tray. 5. Bake for 8 minutes, then flip the chicken and cook for another 4-6 minutes, until browned and baked through. Ready to eat! SO GOOD!